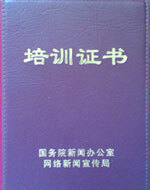 (1) “Everyone's Guide to By-Passing Internet Censorship for Citizens Worldwide”. This is a rich and user-friendly guide released by The University of Toronto’s Citizen Lab, which is meant to introduce non-technical users to Internet censorship circumvention technologies, and help them choose which of them best suits their circumstances and needs. The Guide provides a large range of tips, tricks and strategies on how to bypass content filters worldwide, and outlines the considerations you should take into account when choosing a circumvention tool. It also offers a list of the best circumvention tools, from both a privacy and security perspective, for users who are not technically proficient. According to Ronald Deibert, director of Citizen Lab and investigator at the OpenNet Initiative, the guide, which is currently available only in English, is in the process of being translated into multiple languages. The Citizen Lab is also behind the development of Psiphon project, a censorship circumvention software that allows citizens in censorship-free countries to provide unfettered access to the Web through their home computers to those living in countries where the Internet is censored. You can download the guide in Adobe Acrobat format (PDF) from here: Everyone’s Guide to By-Passing Internet Censorship for Citizens Worldwide. (2) China: A “Journey to the Heart of Internet censorship”. This report, released with the support of Reporters Without Borders (RSF) and Chinese Human Rights Defenders (CHRD), was written by a Chinese technician working for an Internet company and using the pen name “Mr. Tao”. The report details the mechanism of the Chinese censorship system that spans The Internet Propaganda Administrative Bureau, The Center for the Study of Public Opinion, The Internet Bureau and The Bureau of Information and Public Opinion. This report shows how the CCP and the government have deployed colossal human and financial resources to obstruct online free expression. Chinese news websites and blogs have been brought under the editorial control of the propaganda apparatus at both the national and local levels. 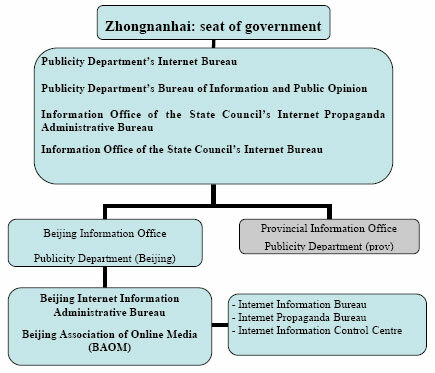 The report also documents the relentless control of prominent news websites based in Beijing by the Beijing Internet Information Administrative Bureau and provides numerous examples for the three categories of instructions (bans issued before publication of a report, bans issued after publication of a report and propaganda instructions). Download the report (also available in other languages) in Adobe Acrobat format (PDF) from here: “Journey to the Heart of Internet censorship”.